Dogs who haven’t socialized with others are often fearful of new situations and circumstances – like meeting new people or going places. 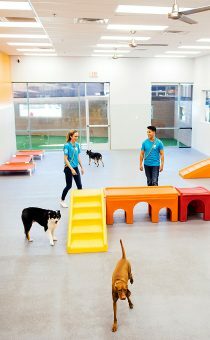 Socializing your dog through activities like visiting the dog park, or doggie daycare, helps to ease anxiety. 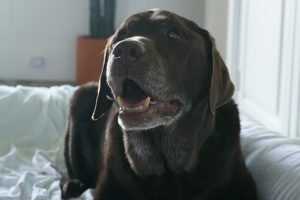 Dogs who spend time interacting, exercising, and playing with other dogs and people lead healthy and happy lives. 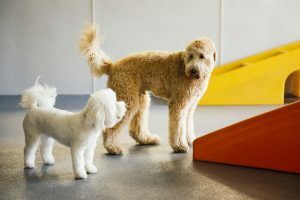 The motto “a tired pup is a good pup” rings true – and is more easily achieved by social dogs. If a dog is worried or anxious about an encounter, they are spending less time having fun and burning energy and more time feeling stressed. 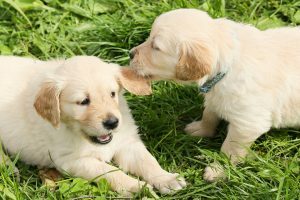 Puppy socialization is critical to ensure your dog has a happy and well-balanced life. 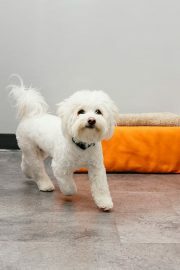 Socialization teaches your pup that making friends, listening to others, and exercising is all fun! By socializing your dog, they will develop new, good behaviors and will learn to be a well-rounded pup! Their confidence is sure to grow when each new interaction brings positive reinforcement and experiences. These new interactions and experiences can be anything from having a neighbor walk past the house, to crinkling a water bottle, to starting a lawn mower. 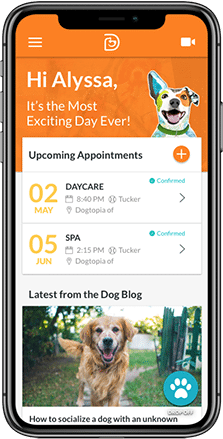 Overtime, this will help make experiences like having parties or going to dog friendly restaurants much easier and less stressful! 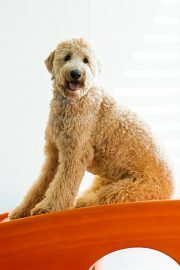 Your dog will grow and learn positive behavior while getting plenty of exercise. 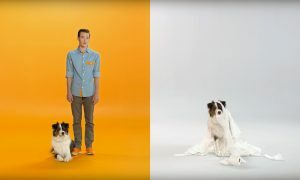 Socializing your dog will lead to a happier pup overall – and that makes you one happy pet parent! With plenty of playtime, opportunities to meet their BFFF (best furry friend forever) and exercise, your pup will be coming home happy and relaxed. 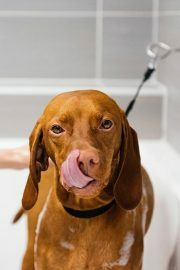 There are many ways to socialize your dog, but why not let the experts do it for you? 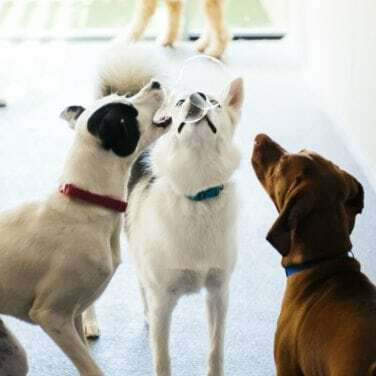 Doggie daycare is a great way to encourage a healthy lifestyle, expose your dog to new and controlled situations, and to play in 100% full supervised, open play areas. 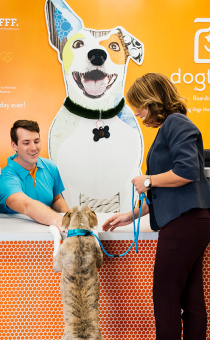 Find your nearest Dogtopia daycare center and book today – your pup will thank you!